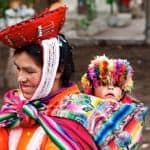 May is one of the best months of the year to go on holiday – you’ll find dazzling sunshine in many of the world’s best destinations along with mouth-watering bargains. In the Mediterranean, most tour operators start their summer flight programmes in May and they slash prices to encourage bookings. Long days of warm sunshine are all but guaranteed. May is also a great month to fly long haul. Prices in the Caribbean plummet after the Easter holidays, yet the weather is excellent with several months to go before the start of the hurricane season. Also see the best family holidays in May half term and solo holidays in May. 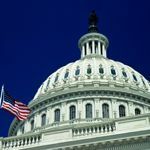 Note: all the travel companies featured on this page are personally recommended by our editors. 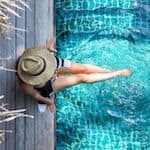 The welcome in May is unusually warm – it’s too early in the season for waiters and taxi drivers to start feeling jaded, and everyone in resort is pleased to see the start of a new tourist season. The weather will be amazing, the sea is warming up and the countryside carpeted with spring flowers. Best of all, prices are low so you can pick up some cheap holidays in May. Where should you go? In the Med, almost anywhere. In Spain, I recommend the unspoilt beaches of the Costa de la Luz and the coastline of Catalonia. On the island of Mallorca you’ll find some first-class villas. See my guide to the best destinations in Spain. Greece is magical for May holidays. Head to the quiet island of Paxos to chill out, or explore fascinating Crete where you’ll find stylish houses to rent and the contemporary five-star Daios Cove hotel. 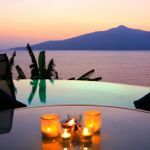 The island of Kos is easy to reach with deals on luxury hotels. On the mainland, I recommend the Sani Resort where I enjoyed a superb holiday with my kids. If you want an upmarket all-inclusive, try the excellent IKOS Olivia and IKOS Oceania. I love the Italian islands of Sicily and Sardinia, home to two of the Med’s finest hotels, Forte Village Resort in Sardinia and the Verdura Golf & Spa Resort in Sicily. On mainland Italy I recommend the scenic Amalfi Coast and the unspoilt region of Puglia in the “heel” of Italy. It’s also a great time for a short break in Rome. 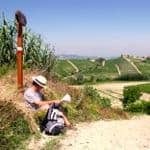 See my guide to Italy holiday ideas. The Aegean coast of Turkey has some beautiful boutique hotels and villas with private pools. In Greece, you can indulge your love of water sports at Mark Warner’s new Paleros Beach Resort, where all activities – including water skiing – are in the price. 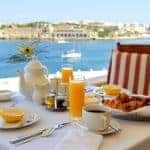 I also recommend the island of Gozo if you want to get away from it all, and the charming French island of Corsica where you’ll find a great selection of villas, apartments and hotels. For something different, how about exploring fascinating Slovenia? This fly-drive holiday features the capital Ljubljana, Lake Bled and the unspoilt coastline. Portugal is also good value. You can explore by car, staying in historic pousada hotels with prices from just £445 including flights and car hire. 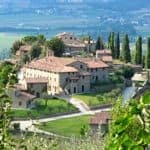 It’s a good time of year to pick up a deal on one of these luxury villas in Tuscany (see the latest special offers). Another classic destination for May – although not in the Med – is the Italian Lakes. It’s perfect for boat trips, walks along the shores and al fresco lunches. 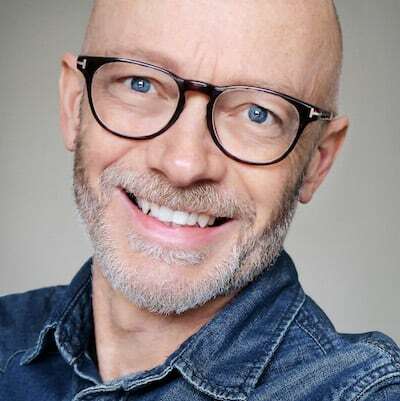 If you’re feeling flush, you could rent a luxury staffed villa with Scott Dunn in the Mediterranean, complete with a private pool and the services of a private chef, villa host and qualified nanny. Also towards the luxury end of the spectrum, Simpson Travel has a lovely collection of villas with private pool in popular regions of France including The Dordogne and the Côte d’Azur. Low season rates in the Caribbean mean that previously unaffordable destinations become genuine bargains. You can find upmarket and mid-market hotels in Barbados (see the latest special offers) or live it up in all-inclusive style at Sandals Royal Plantation, Ocho Rios in Jamaica. I have a soft spot for the beautiful beaches of the Cayman Islands. A nice alternative to staying in a hotel is to rent a fully-staffed luxury Caribbean villa with CV Travel. If you travel with friends the price is surprisingly affordable. See my pick of the best Caribbean holidays and details on weather in the Caribbean in May. Many people mistakenly believe that Bermuda is in the Caribbean. 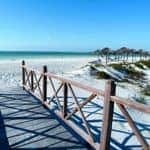 It’s actually in the Atlantic and gets rather chilly in winter but by May the weather is superb and you can enjoy pink sand beaches, immaculate gardens and golf courses and hotels such as Cambridge Beaches and the budget-friendly Grotto Bay Resort. May is a perfect time to be in Costa Rica as the weather is good, but you’re paying low season prices. It offers an exciting combination of jungle, beach, volcanoes, cloud forest, hiking trails and rafting rivers. British Airways flies direct from the UK and you’ll find great value tours such as this 12-day Costa Rica Highlights tour. In Africa this is an excellent time for a safari in Botswana or a gorilla tracking safari in Rwanda. There isn’t a wildlife spotter who doesn’t yearn to visit Madagascar – check out this 15-day Classic Madagascar Overland private tour which also includes time on a pristine powder-white beach. 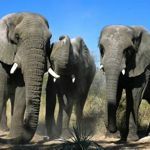 Namibia has some of Africa’s most starkly beautiful landscapes – including the world’s tallest sand dunes at Sossusvlei and the Skeleton Coast – along with the chance to track rhino, leopard and cheetah. Go in May when the weather is great, but high season has not quite kicked in, so prices are lower. The Indian Ocean is ideal for beach holidays in May. Choose between the Maldives, Mauritius and the Seychelles. May is a good month to visit Japan. Temperatures in the capital Tokyo are mild, the gardens are in full bloom and the mountains are green. The Kenrokuen gardens in Kanazawa are considered amongst the most beautiful in Japan. Find more holiday ideas in Japan. Russia is the world’s largest country and a trove of art treasures, as well as fascinating history and rich culture. Try this eight-day Classic Russia tour or set off on a river cruise or classic rail journey. Long days of sunshine and warm temperatures can make the UK one of the best holiday destinations in May. 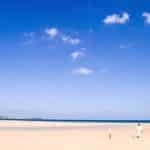 Cornwall enjoys some of the best weather in the country – stay in one of these charming cottages. You’ll also find some stunning houses to rent in the Cotswolds and the Lake District and the Peak District National Park. If you love walking, check out good-value Hassness Country House in the Lake District. If you like the idea of camping but aren’t so crazy about the idea of soggy canvas, head to Trevella Park on the coast of Cornwall. Its Geo Domes have private hot tubs and sun terraces. A boating holiday.on a river cruiser or narrowboat is great value and a relaxing way to explore the British countryside. Options include the Norfolk Broads where you can explore 250 miles of waterways, motoring gently through reed marshes, meadows and woodland. There are plenty of riverside pubs and restaurants where you can moor up. If you want a weekend break in the countryside, try the Gilpin Hotel in the Lake District, or Pen-y-Dyffryn, a cosy Georgian country house hotel set in rolling hills on the Shropshire-Wales border. Nearby, in the charming market town of Bishops Castle, the Castle Hotel offers gastro food, modern rooms and easy access to picturesque walking routes. Something more highbrow? Join a tour of the Great Houses of England or choose from a wide selection of small-group cultural tours of the UK led by an expert in the field of art, music or architecture. If you’re looking for somewhere to stay with a large group of family or friends, you can rent a large house. I recommend The Big Domain which has a great collection of properties in the UK and abroad that all sleep 12 or more. 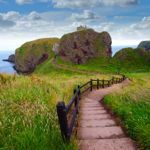 There’s a wonderful collection of short breaks in Scotland including a steam train journey on the West Highland Line and self-drive tours in classic cars. You can take a whisky tour of Islay or spot Minke Whales on Mull. It’s easy to reach Jersey with its fascinating historical sites, hidden coves and buzzing restaurant scene. Fly from more than 30 airports across the UK and stay at the Pomme d’Or Hotel in St Helier, or the relaxing Greenhills Country House Hotel. 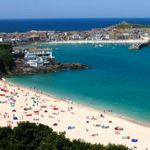 See my full selection of holiday ideas in the UK, and our guide to the best short breaks in May. 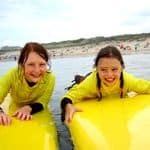 With the heat of the summer yet to descend, May is a great month for an activity holiday – whether you want to push your body to its limits or just enjoy some leisurely exercise in beautiful surroundings. 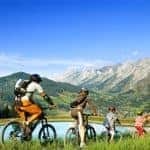 I particularly like these hotel-to-hotel walking holidays in Europe with Inntravel, and these cycling holidays in France with Headwater. Northern Spain offers rolling hills, empty beaches and dramatic mountains – great for hiking, biking and white-water rafting. It’s very good value and the food is excellent. Find out more from Vintage Travel. Or discover the heartland of Spain on a self-drive tour of the non-touristy region of Extremadura. May is an ideal month for cycling in the UK. Saddle Skedaddle has a range of escorted and independent trips exploring the best of the British countryside, including both road cycling and mountain biking weekends. They are aimed at all levels and you don’t even need your own bike. Try the Lake District, Wales, the Scottish Highlands or the Cotswolds. 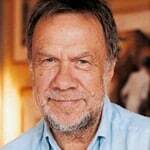 Martin Randall specialises in expert-led cultural tours in some of Europe’s most fascinating destinations. Travelling in a small group, each of its tours is themed around art, architecture, gastronomy, music or history. See the website for details. If you crave adventure, how about Star Clippers which runs tall ship cruises on traditional masted sailing boats. 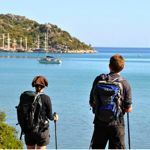 Peter Sommer Travels runs gulet cruises in Croatia, Greece, Italy and Turkey accompanied by an expert guide to show you around the cultural sites. Indulge your mind and body at a luxury spa retreat in the South of France or Andalucia. If you want to stretch yourself, how about a fitness holiday in the Italian Dolomites or a dedicated yoga holiday with healthy food and expert teachers in a choice of beautiful destinations including Crete and Italy. Combine exercise with culture on an exciting trekking holiday in Morocco. This is a perfect time to explore the Atlas Mountains with an expert local guide. It’s also a great time to visit the Azores with warm weather suited to walking and cycling. 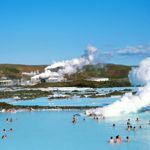 You’ll find incredible volcanic landscapes, along with some of the world’s best whale and dolphin watching – there are direct flights from the UK. Head to Norway in May as midsummer approaches and you’ll see some of the world’s most spectacular wonders bathed in long hours of sunshine. 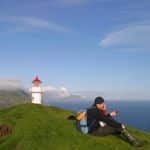 Take an independent tour of fjords, lakes and mountains or a coastal voyage on a ship used by local people. You can spot whales in the Lofoten Islands, visit the Land of the Midnight Sun or ride on Europe’s highest railway between Oslo and Bergen on this four-night Roof Across Norway break. 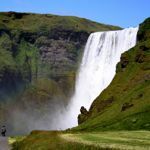 Iceland is one of the world’s most ruggedly beautiful countries – with mountains, glaciers, volcanoes and geysers. 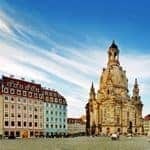 Check out these group tours and independent fly-drive holidays. View the latest special offers. May is a perfect time to head to Eastern Europe for a city break. I personally love the historic capitals of Prague and Budapest. Or paint the town red in Lisbon, Barcelona or Madrid, where you’ll find art galleries, pavement cafes, tapas bars and grand architecture. There are few cities more beautiful at this time of year than Florence, home of the Renaissance. Try this choice of hotels. And of course, Paris is perfect at this time – the end of May sees the start of the French Open at Roland Garros. You could take a city break in Germany, exploring the capital Berlin or historic Cologne. Check out our complete guide to the best city breaks in spring. Love food? In Northern France, I recommend these gastronomic breaks in small friendly hotels just across the Channel. If you have something to celebrate, book a private jet holiday to France with Jet Escapes. If you travel with a few friends or family, a day trip or short break can cost less than £1,000 per person. Spring is the perfect time to visit New York. 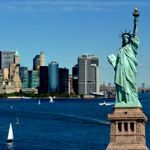 You can expect fabulous sunny weather on a fly-drive in New England or, for a really stylish entrance, how about arriving in the Big Apple on a transatlantic cruise. This is one of the best times of year to visit America’s west coast. 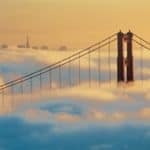 One of the most popular independent tours is this California Winelands self-drive including vineyard visits in Sonoma and Napa Valley and a foodie tour of San Francisco. This one-week Northern California guided tour is great for nature lovers, with time spent in Lake Tahoe, Yosemite National Park, Big Sur and Carmel. 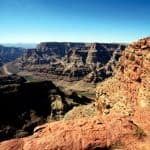 You can also Discover America’s West on an independent rail tour from Vancouver all the way south to San Diego, riding on two legendary trains, the Coast Starlight and the Pacific Surfliner. When are the May bank holidays in 2019? The May Bank Holidays in 2019 are: Monday 6 May and Monday 27 May (Spring Bank Holiday). Find the destinations that are hot in May. And see our expert tips on where to honeymoon in May.